Sometimes, you skate under ladders. There are black cats on the ice, along with unlucky pennies and broken mirrors. There is spilled salt. And sometimes, if you are Steven Stamkos, you are really unlucky. 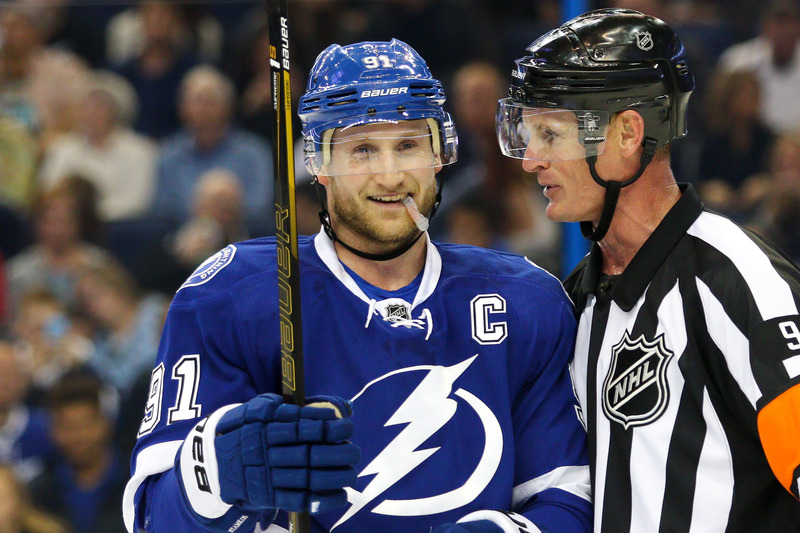 For Stamkos, it has happened again. He tore the meniscus in his right leg Tuesday night; he's now out indefinitely. Once more, it seems, the Bolts will be without their captain. Poor Stamkos. He has a fine career that injuries keep interrupting. Once more, the one ability that Stamkos wishes he had is durability. If Stamkos is out for any significant amount of time, it would add to the unluckiest streak you could imagine. In 2013-14, Stamkos broke his leg and missed 45 games. Last year, he had a problem with a blood clot and missed much of the stretch run and all but one game of the playoffs. And now this. There are players who lead the league in goals, and there are players who lead the league in assists, and there are players who lead the league in saves. Stamkos leads the league in unlucky. For him, the evil eye is always watching. Look, it might be different if Stamkos was a bad guy. He isn't. He's the voice of perspective in the team's locker room, a player who analyzes performance, not results. Three freak injuries, and they all hit Stamkos. Who loses games to a blood clot? How many people fracture their legs skating into a goal? If there is good news, it's that the Lightning was unhindered last year when Stamkos was injured. But Stamkos remains one of the best handful of players in the NHL. Obviously, the Lightning isn't as good without him as they are with him. When he's healthy, a rare sight lately, Stamkos is the athlete in Tampa Bay who is annual the closest to his league's MVP. He's an unchallenged all-star. You feel for Stamkos, a guy who works hard, a guy who cares greatly. This was supposed to be the season where nothing was on his mind, not an injury, not a contract negotiation. And he seemed to flourish without the weight. Stamkos had been a star in the early going of the NHL season. If there is a positive here, though, this is it. The Lightning has learned to play without him. Nikita Kucherov is capable of taking over a game. Tyler Johnson and Alex Killorn and Ondrej Palat are capable of being a set-up man. Victor Hedman and Ben Bishop can win with two goals instead of three. This team should be fine.